The project K Distrikt, an office-residential complex in the location of the former Beko plant, was presented in Dorcol on February 12, Beoinfo reports. – The construction of the office-residential complex will begin this year. This is an investment of nearly EUR 200 million, and 115,000 square meters, plus two underground garages, will be built. This is one of the most attractive locations in Belgrade, close to the Sava, the Danube and Kalemegdan – Mayor Sinisa Mali said. He said that the investor was completing the preparation of the project and that the building permit is expected to be issued. The construction could therefore start in late summer or early autumn. – The works will be carried out in three stages, and I am especially glad that the old Beko plant building will be kept and turned into a hotel or an office building – Mali concluded. Boris Podreka called the project K Distrikt very charismatic, as it is located in the old part of the city with numerous cultural and historical monuments. – Great attention will be paid to the children and their playing area. Equally important is the boulevard which will stretch from Kalemegdan to the Danube – Podreka said. Representative of the investor, the Dutch company Pinnacle, Menno de Jong, believes that the company he works for should be proud, as it has been entrusted with developing the old part of Belgrade. – We are happy to cooperate with such a world-renowned architect as Boris Podreka. This area represents the history of Belgrade and Serbia in a way, and we are convinced that, with its realization, we are doing a good thing for the entire community – Menno de Jong said. 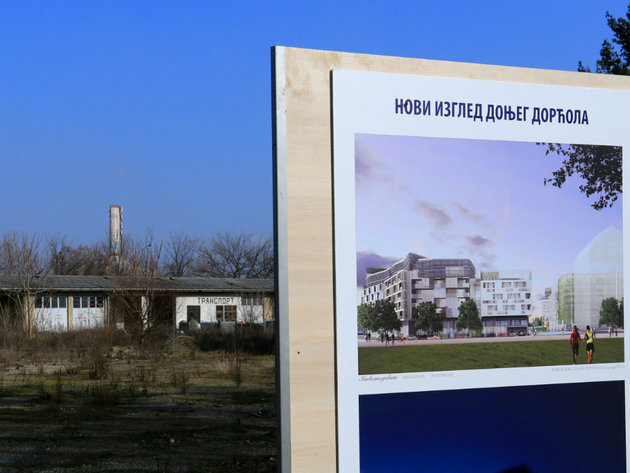 Let us remind that the Greek company Lamda Development, which bought the Beko property in Dorcol in 2008, was initially supposed to carry out a project in this location in Dorcol. After nearly ten years and various announcements, the Greeks sold the location to the Dutch company Pinnacle.